Finland: Iraqi strangles wife to death, frames the murder as suicide by hanging, fled to Iraq claiming shock……. – The Tundra Tabloids……. Finland: Iraqi strangles wife to death, frames the murder as suicide by hanging, fled to Iraq claiming shock……. Prosecution: 32-year-old man murdered his wife in Mellunkylä, Helsinki, and framed the murder as a suicide. DISTRICT COURT After the death of his wife, a 32-year-old man did not call the emergency center but left for Iraq. According to the defense, it was from a state of shock and the man was worried about his children. 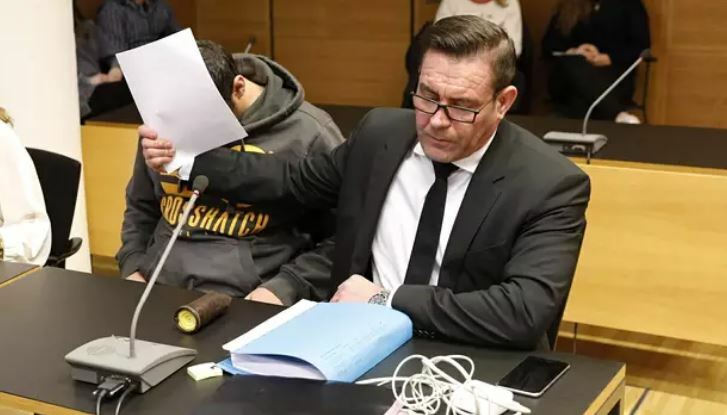 THE District Court of HELSINKI began to deal with a criminal case on Thursday at noon, where a 32-year-old man with a foreign background is accused of murdering his wife of four years younger and violating her body (arranging the corpse with a noose). The defense denies the charges. The suspected crime took place in a couple’s apartment in Helsinki’s Mellunkylä on September 27, 2018. Among other things, the fact that the Helsinki police did not tell of the incident before the case was already under consideration as a crime. Investigator Teemu Kruskopf said at that time that there was no suspicion of murder could be reported, as the suspect escaped with his children to Iraq and disclosure of the matter could have jeopardized the investigation. According to Kruskopf, the police were in constant contact with the suspect who returned to Finland 18 months later voluntarily. District Prosecutor Mikko Larkia , the 32-year-old man strangled his wife to death and then tried to stage it as a hanging suicide death of his wife. According to Larkia, the fact that a man had bought a rope that had been worn earlier and used in a crime is a sign of planning. Previous Post Previous Post Sweden: Academic gets slammed for wanting to exchange mass immigration critical MPs (Sweden Democrats) for Islamonazi jihadis ……..
Next Post Next Post Stefan Frank: Venezuelan Antisemitism, Following example of Arab-Muslim regimes around the world…….